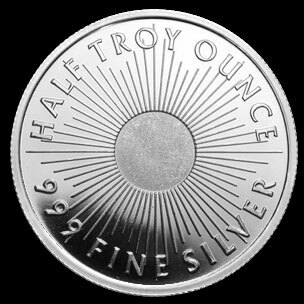 offer a pure silver alternative to those desiring fractional ounce silver products. 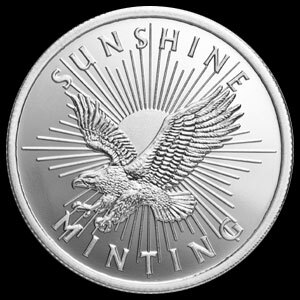 These rounds feature a brand new security function, MintMark SI, which is now being incorporated into all new Sunshine Mint bullion products. This new feature is encrypted in the center on the reverse of the round, surrounded by the sun’s rays. When viewed through Sunshine Mint’s special decoder lens, the central security design displays the word “valid”, but when the decoder lens is rotated ninety degrees, a sunburst is displayed. These two different views serve to authenticate the new half ounce silver round.